Here are some pieces for your listening pleasure! Enjoy! Just click on the titles to hear them. 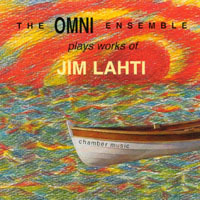 These works are all being performed by members of the OMNI Ensemble. To get the entire album, go to CD Baby. ~ members of the OMNI Ensemble.